In a developer interview during YouTube’s Live E3 2017 Show, journalist Geoff Keighley talked with Bungie about the upcoming Destiny 2, one of the biggest games due this year. We’ve covered earlier the new console release date as well as the newly announced PC release date, but there was one big question lingering among fans: will the Xbox One X be able to run the game at 60 frames per second? 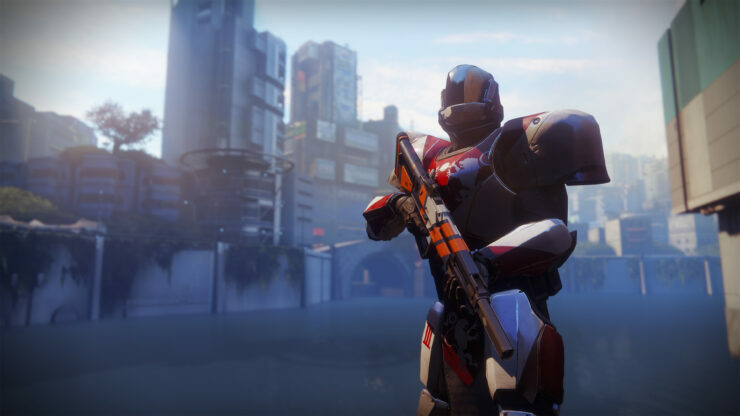 Just after Destiny 2’s reveal event, Bungie said that Destiny 2 would run at 4K (it was not specified whether that was native resolution or not) and 30 frames per second on the PlayStation 4 Pro. The Xbox One X is a big leap ahead in terms of performance, but apparently, it isn’t enough. Luke Smith said that the first-person online shooter will run at 30FPS on all console platforms, which means that only PC gamers will be able to enjoy the game at 60FPS or higher (the frame rate is uncapped on PC), alongside other perks such as Ultrawide support, customizable Field of View (FOV), text chat, custom key mapping and detailed graphics settings to tweak. This is severely disappointing for all console gamers, particularly since all major shooters recently have targeted 60 frames per second even on consoles. Bungie should have focused on reaching 1080P@60FPS at least on PS4 Pro and Xbox One X, even if it meant allowing a slight advantage over owners of the original PlayStation 4 and Xbox One systems. You can check out the awesomeness of Destiny 2 running on PC at 4K@60FPS right here.